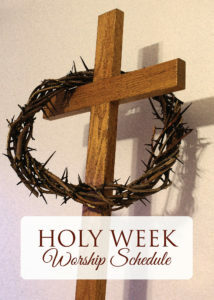 7:00 p.m. A night to gather together to remember and reflect on the last supper Jesus had with his disciples. A community worship service presented by area churches. Come and reflect on the events leading up to Christ’s crucifixion and his death on the cross. A night of meaningful meditations and music. Refreshments served afterward. 7:00 a.m. Come and celebrate! Christ is risen! Breakfast served immediately afteward. 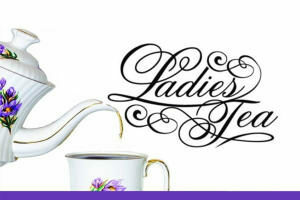 Saturday, April 27th at 2:00 p.m.
An tea party for girls and women of all ages! Get dressed up or come casual. The event will feature a vintage clothing style show. Refreshments served. Suggested donation of $5.00 per person age 7+. No cost for kids age 6 and under. All proceeds will support the ministry and mission of the Circle of Joy Women’s Fellowship. RSVP by contacting the church office by April 20th.